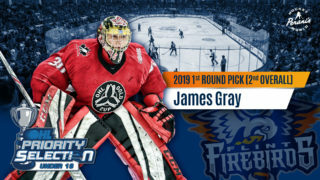 Flint, Mich. – The Flint Firebirds announced today that the club has received a commitment from forward Jack Phibbs. 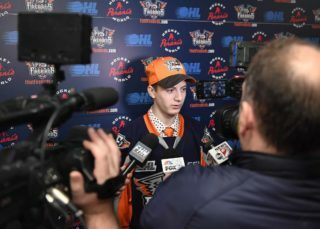 Phibbs, a native of Cayuha, Ont., was picked in the seventh-round, 133rd overall in the 2015 OHL Priority Selection and comes to Flint after spending a season in the Greater Ontario Junior Hockey League (GOJHL) with the Brantford 99ers. In 50 games, Phibbs racked up 40 points (18G, 22A) and totaled 22 penalty minutes. Prior to a successful season with the 99ers, the six-foot, 170-pound forward recorded 48 points (24G, 24A) in 35 games with the Southern Tier Admirals in the South Central AAA Minor Midget league. The Firebirds begin their training camp on August 29th at the Flint Iceland Arenas. Training camp is open to the public with free admission for all on-ice sessions. 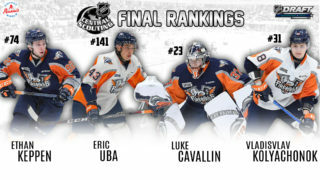 Stay tuned to www.FlintFirebirds.com for more information on the Firebirds’ 2016 full schedule and training camp information.